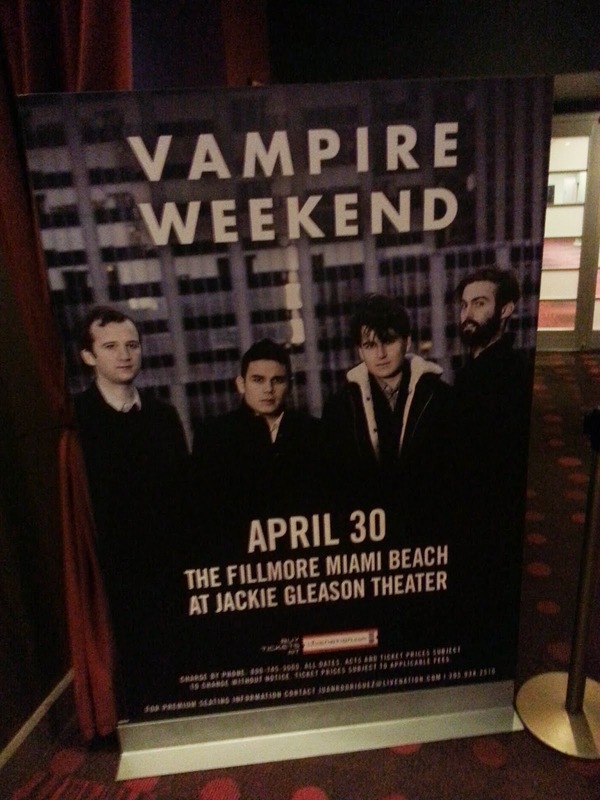 We headed down to Miami to visit friends this past weekend and we had planned on going to see Vampire Weekend on Wednesday, 4/30, but it wasn't meant to be. Our flight was delayed coming in from Cleveland just enough so as we pulled up to the beautiful Fillmore at the Jackie Gleason Theater that people were filing out of the venue after the last song. It was heart breaking to my wife and I as we're huge Vampire fans. Luckily, they were playing back to back nights and our friends who were at the show Wednesday were cool enough to stick around with us to see the Thursday night show. So, we bought tickets and planned to get in and watch Paul Simon or Steve Miller Band in their prime. 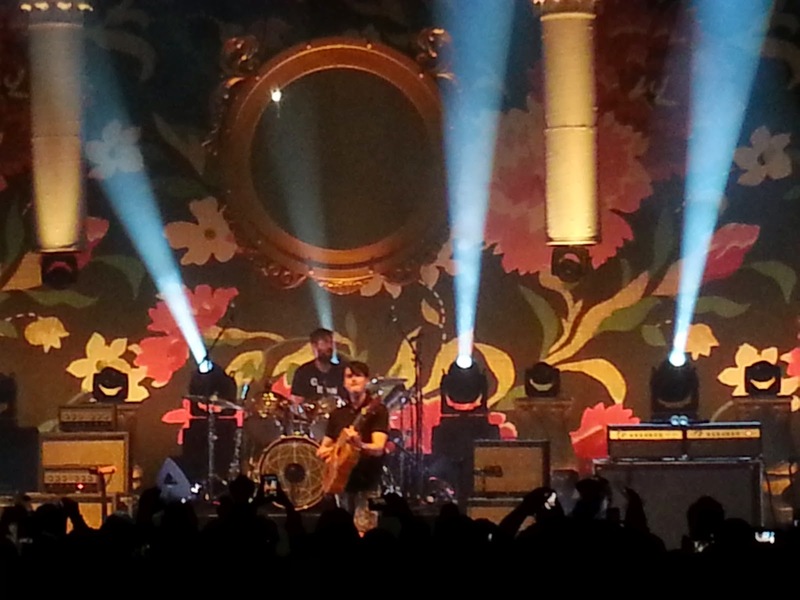 Vampire Weekend are one of the only bands out now that are the full package. A combination of singer-songwriters, pop-rock-folk-reggae, mainstream, that band that feels like its your secret, unknown band, on the verge (if not already there) for mega-stardom band. They're set to headline several music festivals this summer after touring for a full year starting in May 2013, in support of their latest album, 'Modern Vampires of the City'. 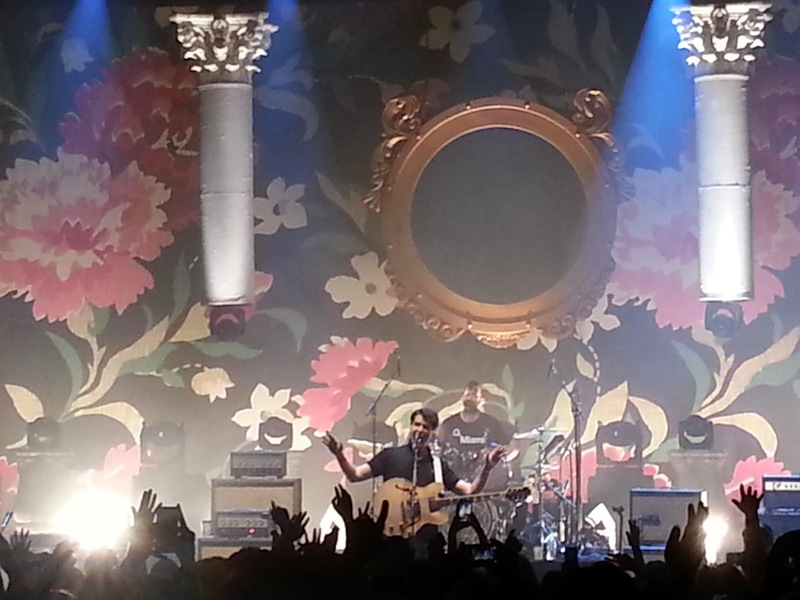 At this time last year, Vampire Weekend was playing small theaters and were second headliners at a bunch of music festivals. They became more and more popular over the last year after so many people were exposed to a collection of hit singles off of the album. 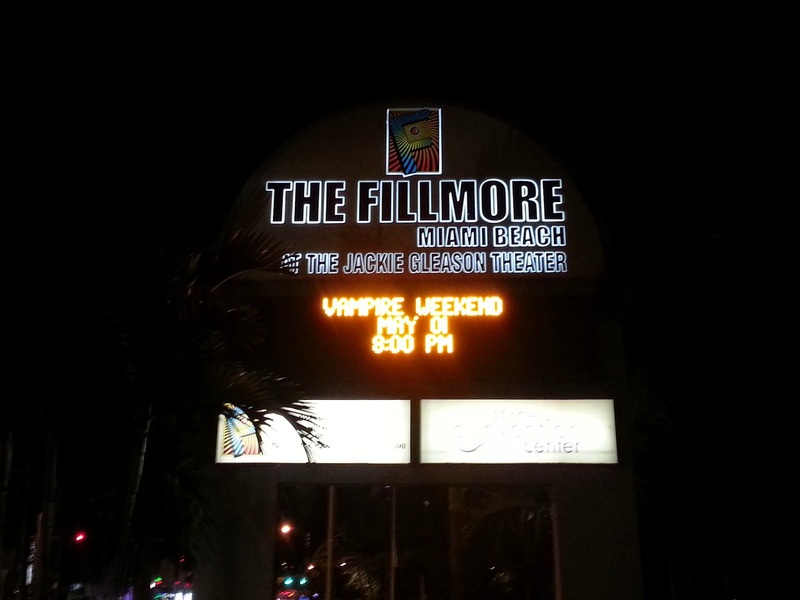 Entering the Fillmore, I was in amazement of the beauty of the venue. Huge arcs over entry ways gave it the feel of an old school theater. Gig posters covered the walls as we walked in, which put me in the perfect mood to see one of my top 3 favorite bands. We got into the main GA area and the high ceiling made me feel like we were in an arena, but at the same time kept the intimate feeling of a theater. 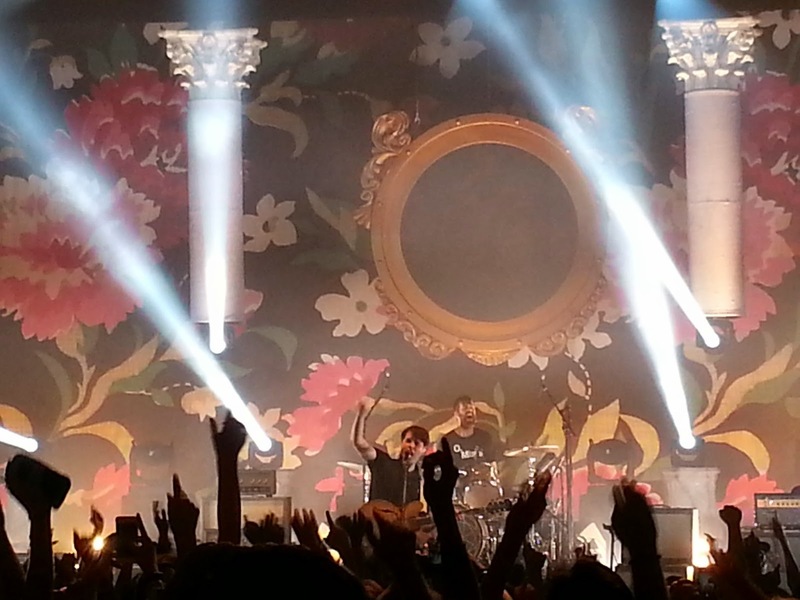 Ezra Koenig came on with the first hit single from the new album, 'Diane Young' and didn't look back. He cut through classic Vampire tunes from their first, self-titled album and sophomore effort 'Contra'. 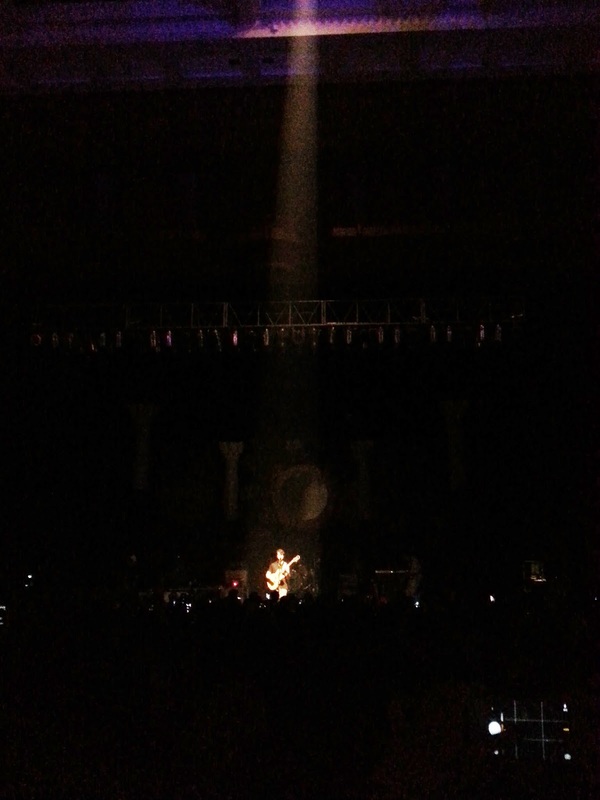 Jumping into my favorite track on the second song, 'White Sky' I knew we were in for a solid night. They spent the night keeping the energy flowing with a combo of upbeat and low tempo songs. 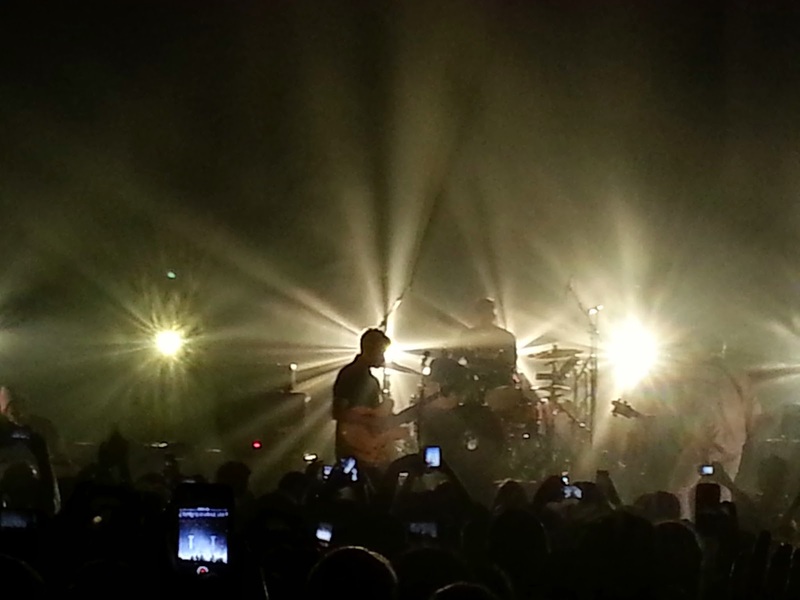 As they hit their fourth song, 'Unbelievers' they had the packed crowd in a frenzy. Old, young, black, white - They had a full mix of demographics in attendance. But that is what Vampire instills. They are a universal band that can strike a cord with any type of person. A quality of another similar artist, Paul Simon. Someone, that Vampire admittedly emulated coming up as a young band from NYC. As they hit the midpoint of the show, they almost tore the house down with the speedy 'Cousins'. 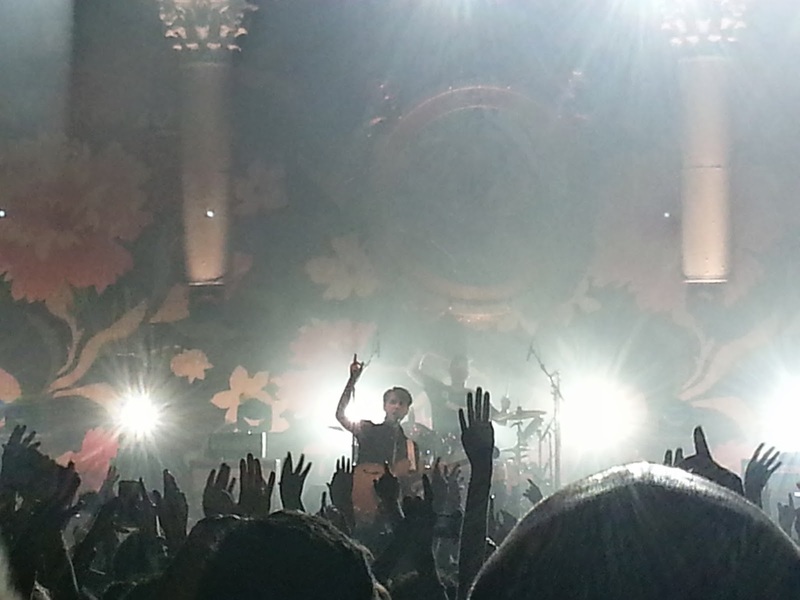 The crowd was jumping and singing along rapidly along with Ezra singing perfectly in unison with the rest of the band. There was no turning back, everyone was sucked into the hype that music critics and lovers had been raving about since they came about six years ago. Slowing it down with 'Ya Hey', they showed they have matured since the first two albums in which they sang about 'Horchata' and "Not giving a f*ck about an Oxford Comma". 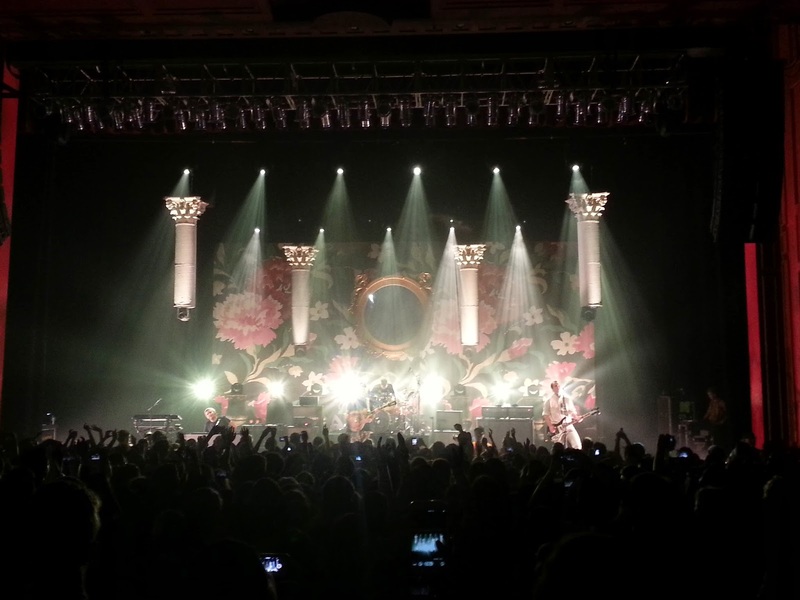 The track shows Ezra and the band's growth in the understanding of their spiritual side. The new found maturity made for truly deep lyrics, yet not losing any type of edge. After closing out the set with pre-encore 'Obvious Bicycle', they came back out to play the last hit of the new album 'Hannah Hunt' which really shows Ezra's range. They didn't want to let anyone forget their roots though and closed it with 'Walcott'. They know what got them to the point they're at today and that's the preppy pop rock that kept their fans dancing to end the night.